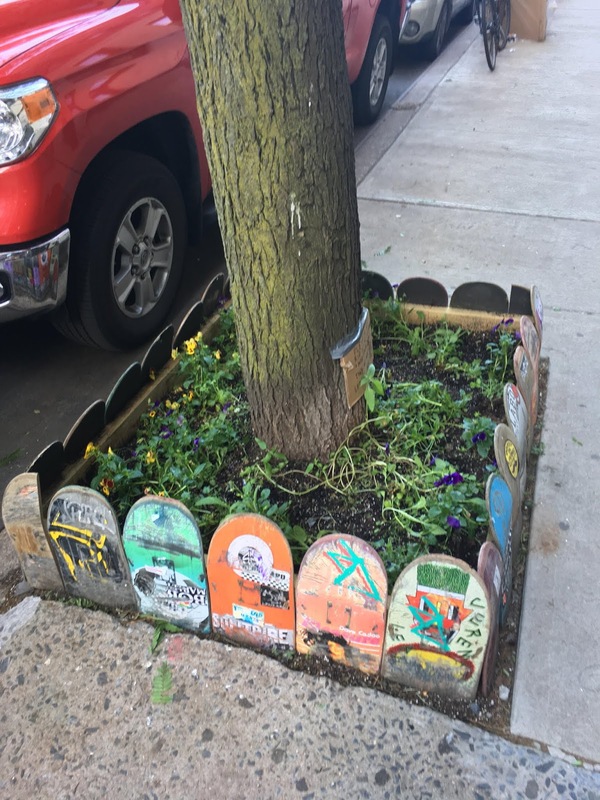 Back in April, a small bed of flowers inside a tree guard made out of skateboard decks on Seventh Street between Avenue A and Avenue B drew praise from neighbors. 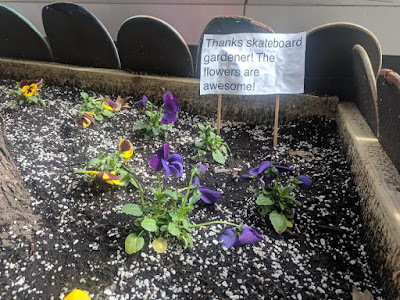 Someone even took the time to leave a sign noting: "Thanks skateboard gardener! The flowers are awesome!" Unfortunately, most of the flowers were destroyed. 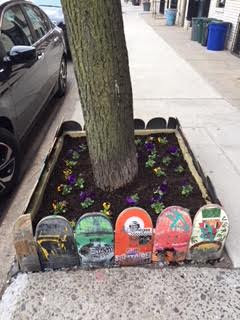 Per a reader: "Someone killed all the sunflowers and wildflowers planted in the skateboard planter [Monday] night." We even heard from the Skateboard Gardener, who said: "Very frustrated people couldn’t leave them alone to grow." 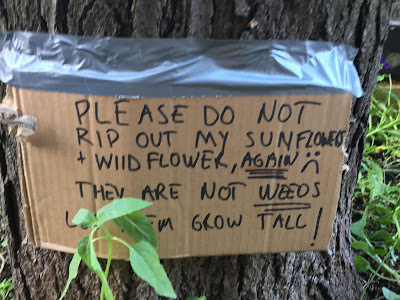 This is why we can't have nice things! 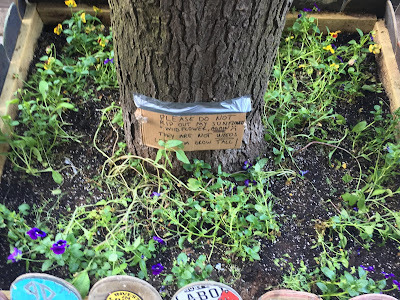 There's always some jerk who will destroy it all, perhaps the same people who treat the park like a trash can. Animals around every corner in this city. Lack of parenting. Thank you so much for your sweetness, Skateboard Gardener. 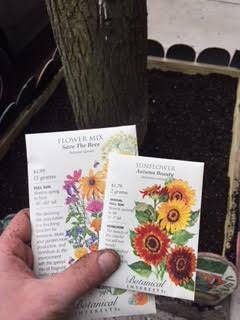 I hope these flowers get to grow tall. What a shame. 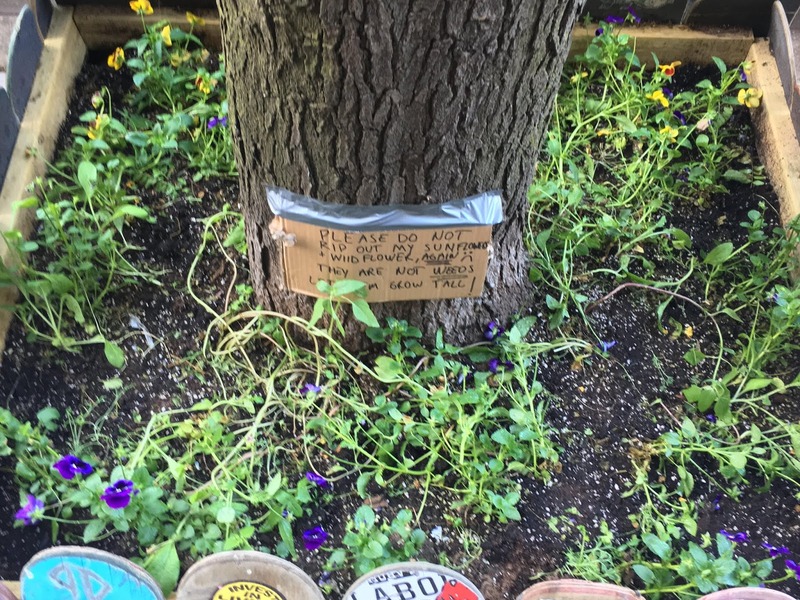 I was walking past a young woman who was tending to the broken pots. Many people are disrespectful, rude and have too much time on their hands.